A team of Australian trampoline gymnasts is training in the additional hall of the National Gymnastics Arena in Baku. All the necessary conditions were created for athletes to train in the National Gymnastics Arena, Samantha Palmer, head of the team, said. She said the Australian gymnasts chose Baku because the team has already participated in the World Championships held in Azerbaijan. There are really perfect conditions and an excellent training hall, Palmer said. She stressed that gymnastics is developing rapidly in Azerbaijan. Azerbaijan hosts and organizes many international sporting events at a high level, Palmer said. She expressed gratitude for the opportunity to come to Baku and train athletes in such wonderful conditions. 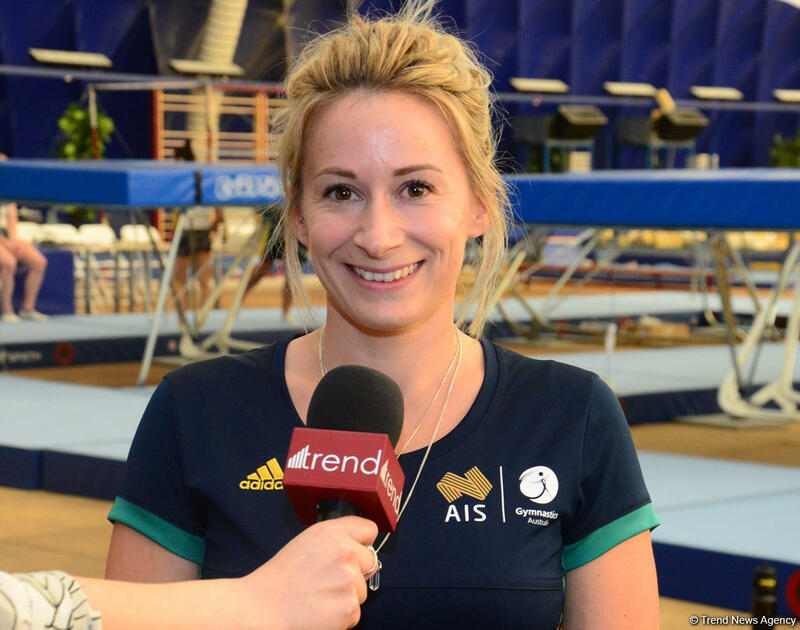 The Australian gymnasts are still busy in training and did not have time to see Baku, but they definitely plan to take a walk around the city, Palmer said.